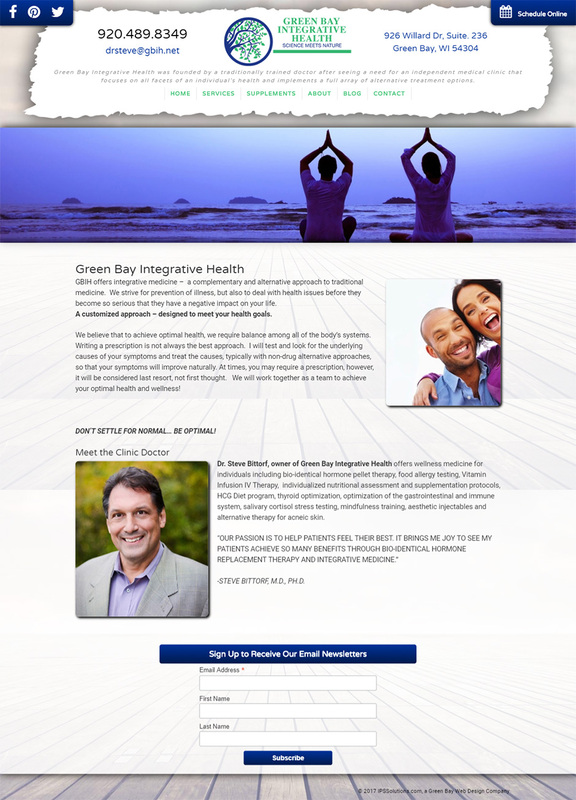 Green Bay Integrative Health was looking for a website redesign that would be aesthetically pleasing, intuitive to navigate, and easy for staff to update. 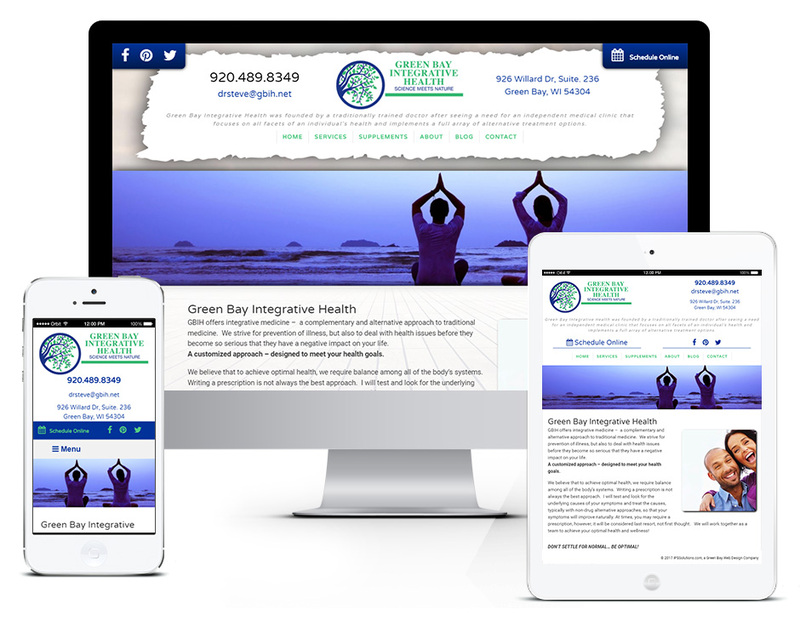 Given the popularity of mobile devices, a responsive mobile friendly web design was also a necessity. The schedule an appointment feature and email newsletter signup also needed to be a prominent call to action. SEO (search engine optimization) was also a consideration and we took numerous steps to ensure great on page SEO for the healthcare services offered.